The J.P. Morgan Healthcare Conference is underway in San Francisco. Walking around the conference, a few topics seem to be at the top of everyone's minds. From M&A skepticism to big tech attendees, here's what Business Insider reporters are hearing on the ground. SAN FRANCISCO -- The J.P. Morgan Healthcare Conference, a massive conference attended by thousands of pharmaceutical industry executives, investors, bankers, and analysts, is off and running in San Francisco's Union Square. Walking through the halls of the hotels that house the main events, a few topics seem to be on the tops of everyone's minds. From new arrivals heading up big biotech and pharmaceutical companies, to doubts about 2019's first mega-merger, here's what Business Insider's healthcare team is hearing at the conference. 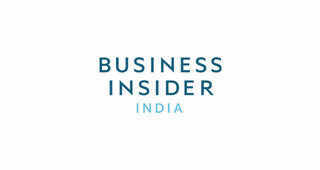 Read more: Check out Business Insider's coverage of the biggest healthcare-investor conference. What's a mega-merger to do? Walking from meeting to meeting, it's hard not to hear chatter about the $74 billion Bristol-Myers Squibb-Celgene deal. But among attendees of the conference, there's some skepticism about whether the deal will go through. Instead, there's a possibility that another pharmaceutical company could come in and make a bid for BMS - nixing its deal with Celgene entirely. Often looked at as a potential takeover target, it's possible BMS could get acquired itself, particularly from companies looking to beef up their presence in cancer immunotherapy. Rumors that Amazon and Apple employees are attending the conference have healthcare veterans wondering what that might mean for the two giants' health strategy. While some initiatives Amazon's working on - like the PillPack acquisition and the joint healthcare venture with JPMorgan and Berkshire Hathaway - have clicked into place, there's still a lot we don't know about Amazon's healthcare strategy. That should have the healthcare industry worried. A number of pharma and biotech companies had new presenters up on stage. New CEOs heading up Pfizer and Gilead drew a lot of curiosity over where they'd take the companies. And then there's newly formed companies like CVS Health, which in 2018 finalized its merger with Aetna. In its presentation, CVS laid out how it plans to incorporate the health plan into its retail pharmacy business to create home hubs. CVS's presentation was overflowing, too. Lisa Gill, the JPMorgan analyst who covers the company, joked at the start: "Just as a side note, I think we're going to have to move you back to the big room next year." We'll be sending out our best stories from the week in Dispensed, our weekly dispatch of pharma, biotech, and healthcare news. Sign up here. 9One of the world's largest artificial waterfalls is a 350-foot manmade structure on the side of a Chinese skyscraper. Take a look.